At 15, Yousef Bashir was shot in the back by Israeli soldiers occupying his home in Gaza. We talk to him about the intifada, his new memoir, and what 'peaceful coexistence' actually means. In 2004, Yousef Bashir had lived for four years - since the start of the Second Intifada - in a home occupied by soldiers. Four years of anywhere between 20 and 100 soldiers at a time on their land in central Gaza. Four years of the family (his parents, his grandmother, and seven siblings) trapped in their living room, asking permission to use the kitchen and bathroom, and everyday violence that culminated in one fateful afternoon when two UN staffers visited the family. Barely 10 minutes in, the all-seeing soldiers in the home’s commandeered upper stories kicked them out, and as Bashir was saying goodbye to them, shot the 15-year old in the back. Throughout the memoir - and even today, six years after he began writing it - Bashir still grapples with how his father managed this unwavering hope, even when his home was occupied by soldiers, his ancestral land destroyed, his family trapped, and his son shot. The single shot was fired by one of the soldiers stationed in the Bashir home, a captain no less, aimed right at the teenager. Though the Israeli army took responsibility, the Bashirs have never received an explanation, or news that the captain was ever prosecuted. This was the second time a Bashir child was shot. Yousef’s brother, Yazen, was shot in the leg four years before while trying to put out a fire in the garden caused by an army flare. Yousef Bashir at a window to his parents' bedroom, where his father was attacked with bullets and mortar shells in 2001. 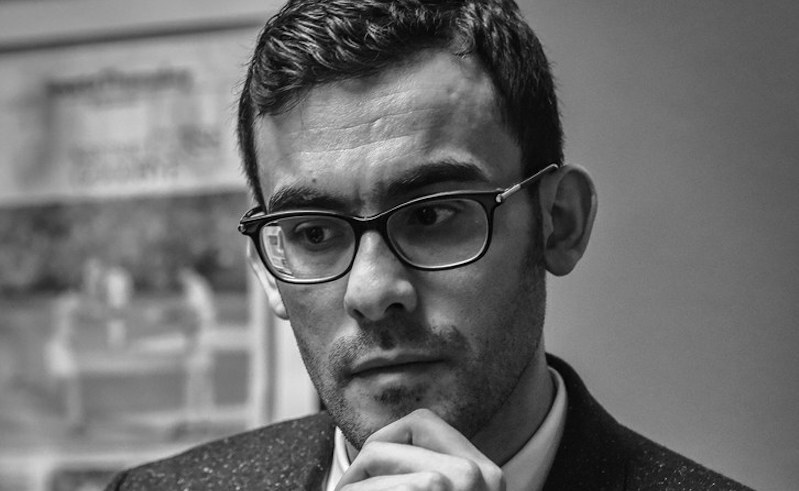 In his new memoir, The Words of My Father, now 28-year old Bashir details growing up in his family home in Gaza, the five-year occupation of his home, the injury that almost left him paralysed from the waist down, and his consequent treatment in Israel. The book is a blend of the personal and the political, and has lent Bashir acclaim from critics on both sides of the conflict. The UK edition, published in September 2018, was chosen by the Times Literary Supplement for its Books of the Year. The hardcover UK edition echoes the Palestinian flag. The memoir has a dual purpose for Bashir. On one hand, it’s a fundamentally personal project of archiving his father’s message and disseminating it to a world that sorely needs it. Khalil Bashir - a widely respected educator, headmaster of the German school in Gaza, and peace advocate - occupied a unique position. With his home occupied for five years, two sons shot, and experiencing the daily humiliation of being stripped by soldiers every time he entered his own home, Khalil Bashir never relinquished his belief in peace. They [the Israeli soldiers] are just children, forgive them. Wounded in a hospital bed, the day after Israeli soldiers stationed in the Kfar Darom settlement right across from the Bashir home fired bullets and a grenade into his bedroom, the educator repeated his message of peace to the visiting CNN crew. Though at every turn, he rejected both Israeli commands and his own family’s pleas to leave the home and move his family to a safe place, Khalil Bashir insisted on greeting the soldiers with kindness. To an understandably irate teenage son, he said of the soldiers: “They are just children, forgive them.” And so, on one level, the book is a personal archival project, recording and transmitting the words of his father to a world in need of them. 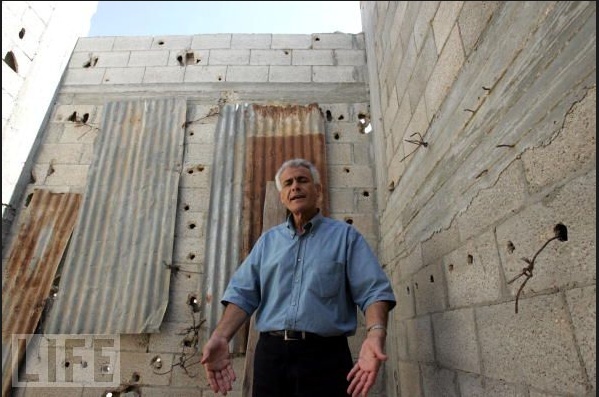 Khalil Bashir stands in his home at the end of its occupation in 2005. Image courtesy of Marco Di Lauro. The book is also a matter of political strategy, rooted in the impact of an honestly communicated story. 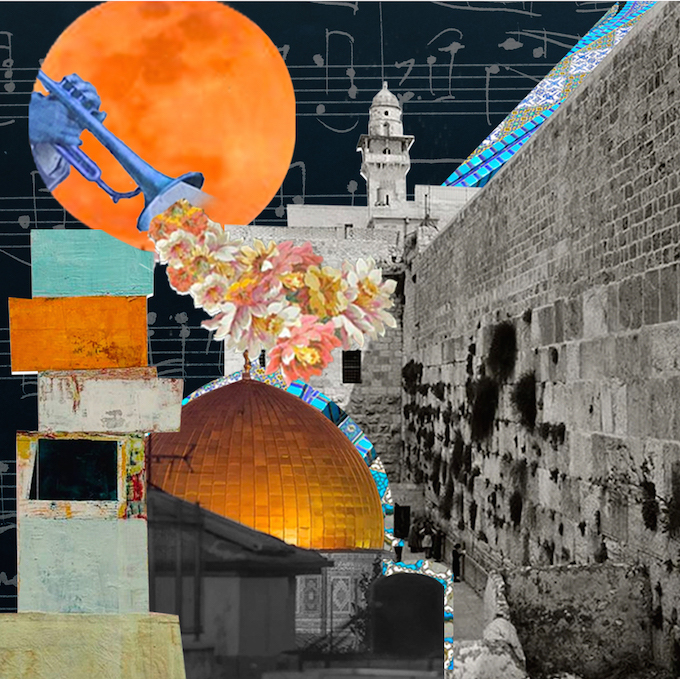 It’s important to understand that one of Israel’s most central weapons is that of storytelling. Their monopoly on narrative and knowledge production, for decades, was pivotal to writing a history where Israel’s existence isn’t simply legitimate, but a moral right. Today, that monopoly might be growing weaker, with pro-Israel campaigns in the US, for example, increasingly coming under fire by a young American Jewish population moving further away from the right. But it is an ongoing struggle in public and intellectual space. It is in the middle of this interminable discourse competition that Bashir positions himself now. If he left, it would be said that he had ‘abandoned’ or ‘sold out’ his home, a narrative still repeated about Palestinians today. The shooting became an everyday routine and our windows kept getting shot out. We started replacing the glass with plastic sheeting, which was a lot cheaper. And the truth is that a teenager, even one who goes through the life-changing experience of getting shot in the back in his own home, does not think in terms of international agreements and political ideals. The first moments of the Intifada in 2000 aren’t an apocalyptic uprising in the making; they’re boys relieved to have a day off school. The ‘peaceful coexistence’ messages of his father aren’t a radical resistance philosophy; they’re seemingly trite words falling - at first - on deaf teenage ears. And the soldiers occupying a home aren’t an illegal invasion according to international law; it’s the violation of privacy of a family of 11 forced to live in a single room, while strangers with guns defile and destroy the upper stories. Yousef Bashir at Seeds of Peace, an international summer camp in the US for teenagers from conflict regions, one of the first spaces he used to share his story. Image used courtesy of Bobbie Gottschalk. Bashir writes of his teenage self, and does not retroactively endow him with the analysis of Noam Chomsky or the edicts of contemporary Palestinian activism. To do so would be to turn the book into more of a manifesto than an honest memoir, political enough to root itself in the violent context, but personable enough for anyone to relate to, regardless of positionality, history, or politics. I think by holding on to those ideals, he held on to our humanity. On the very first page is a dedication to Bashir’s fellow Palestinians, and a quote from his father—“We must not let our wounded memory guide our future.” Through the motifs of peace and coexistence repeated in his upbringing, it is this - more than anything else - that his father had instilled. It’s important to note that this isn’t a passive acceptance of an unjust situation, but a tactic of resistance. Though Khalil Bashir was always hospitable to the soldiers occupying his home, at no point did he consider leaving, as the Israeli army initially demanded. If he left, it would be said that he had ‘abandoned’ or ‘sold out’ his home, a narrative still repeated about Palestinians today. "This place is the cradle of my childhood," he said to the Guardian in 2005. "I don't want to commit the mistake my people made in 1948. I don't want to be a refugee." Bashir's sister, Amira, made the word 'Peace' out of bullet casings shot at the house. 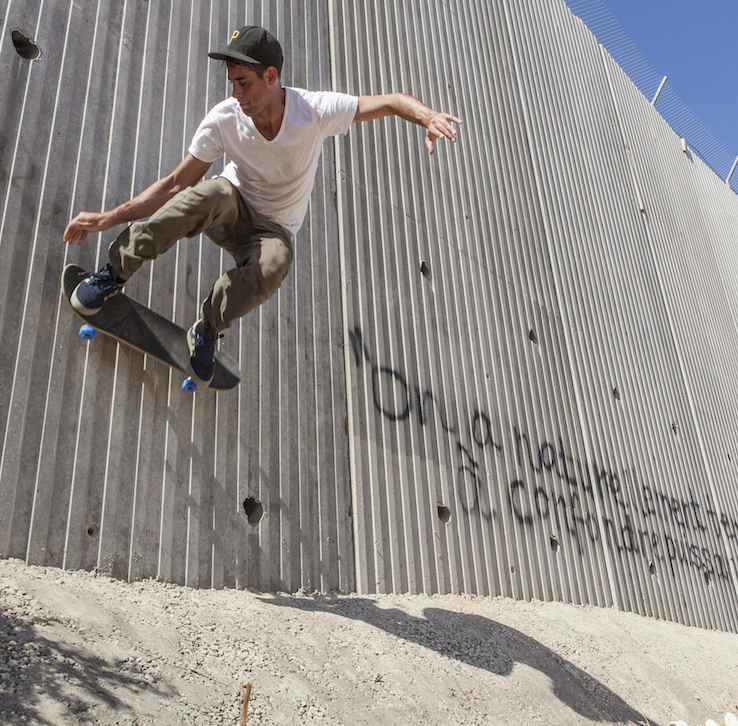 The gunshot to Yousef's back meant sixteen months of rehabilitation in an Israeli hospital. Though he regained his ability to walk, the bullet fragment still lodged in his back today means he is in constant pain. For anyone else, the pain would be a constant source of anger, further fanning a bitter flame with every sleepless night he must negotiate with the actions of a soldier long gone. But through it, Bashir holds even stronger to his and his father’s messages of coexistence and peace. The words of his father have seeped into his being far deeper, to make him a man far closer to his father than even he realises. I show up [at AIPAC] because it shouldn’t be someone else telling my story. The book begins with a prologue of the author at an event for the American Israel Public Affairs Committee (AIPAC), the US pro-Israel lobby. As the source of the US’s most aggressive anti-Palestinian rhetoric and policies, it is a main target for the Boycott, Divest, Sanction (BDS) movement. With this in mind, and particularly in the era of ‘insider’ literature, where minority writers, the likes of Khaled Hosseini (The Kite Runner), are considered ambassadors—absolute representations of entire cultures and struggles—the prologue left me concerned about who the book is for. Image courtesy of Bobbie Gottschalk. “The obvious answer would be that ‘he wrote this book for American Jews,’” Bashir responds. “It’s the first thought that comes to many.” But this choice to engage isn’t due to a lack of insight, but an intentional political strategy. On one side, an Israeli audience is far more likely to read a Palestinian memoir by an author who is willing to speak at AIPAC. On the other, it’s a message to Arabs, Palestinians, and activists. Too often, especially when we speak of sociopolitical issues of justice and oppression, people get stuck in echo chambers, where we only end up speaking to each other, when everybody in the room already agrees with us. Bashir explains how, in giant hotel gala rooms across America, college students were being shown presentations about Israel that do not mention Palestine once, not even in passing, a case of tunnel vision further exacerbated by Palestinian activists boycotting the events. 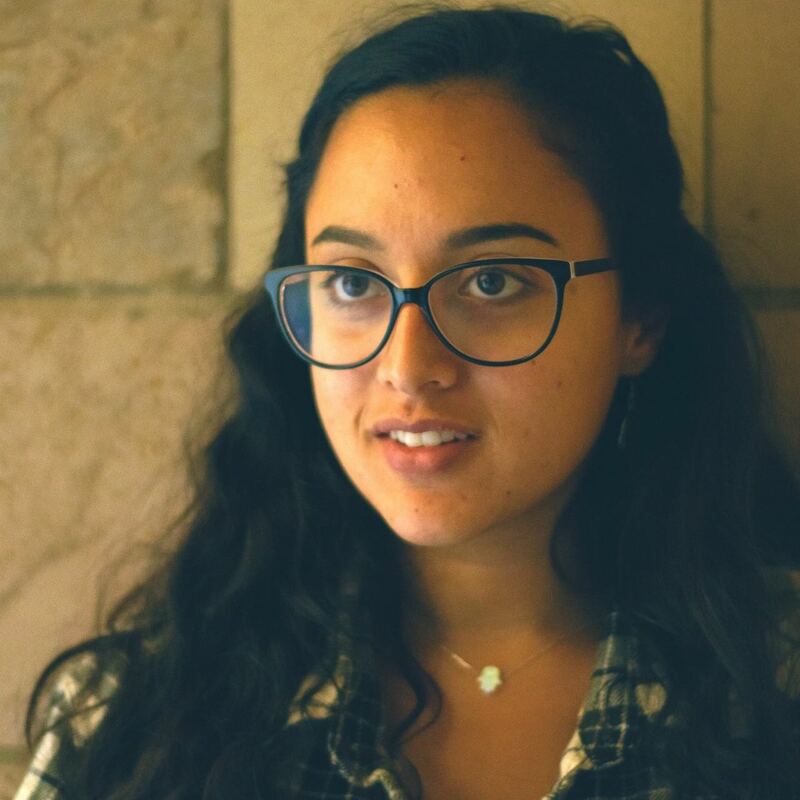 But it is also because of movements like BDS that AIPAC has had to shift its tone, addressing the opinions of a younger, more left-leaning American Jewish population that does not as easily buy into Israel’s narrative to legitimise today’s oppression. “To my friends in the Progressive community, I want you to know that we are partners in this project.” Mort Friedman, AIPAC president, said at their conference in 2018. “The progressive narrative for Israel is just as compelling and critical as the conservative one. But there are very real forces trying to pull you out of this hall and out of this movement and we cannot let that happen. We will not let that happen." Soldiers were stationed at the Bashirs' home because of its vantage point to the now-destroyed Kfar Darom settlement, which the Israeli army was supposedly there to protect. Image used courtesy of Pamela J. Olson. At this point in history, when liberal and imperialist discourse – such as that of AIPAC – have combined to completely subsume ideals of ‘tolerance’, ‘peace’, and similarly cringey buzzwords, I myself have a visceral reaction to terms like ‘peaceful coexistence’. They remind me, not of the resistance movements from which they sprang, but the oppressive factions that have co-opted them, à la liberal America touting ‘both sides are equally bad’ and equating literal Nazis to those fighting against them. It’s a dangerous rhetoric that both obfuscates and enables the very real violence of the situation. If there’s anyone who can say the word ‘peaceful coexistence’, it should be me. It’s a reaction Bashir is both familiar with, and sometimes feels himself. “But it’s time that you hear it from me. If there’s anyone who can say the word ‘peaceful coexistence’, it should be me.” His engagement with AIPAC, the lobby responsible for the billions of dollars in US aid to Israel every year, isn’t a matter of naivety or a capricious hope for ‘change from within’. It’s a conscious choice to add his voice into the cacophony. “If there’s going to be two narratives out there, then so be it.” And the narrative Bashir adds is one of loss, land, occupation, and hope. The greenhouses that Khalil Bashir had cared for as if they were his children were destroyed by Israeli bulldozers and tanks, and could not be rebuilt with the house. 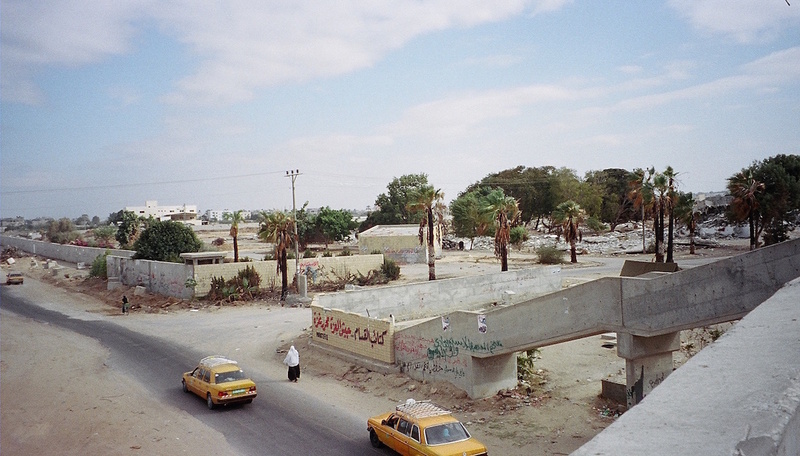 In this same impetus of reclamation, the Bashir family’s land, which was larger than two football pitches, lined with tall date palms, full of generations-old olive trees, bee hives, an orange grove, and greenhouses – all destroyed by Israeli tanks and bulldozers – was rebuilt after the end of the Second Intifada and the final exit of the Israeli soldiers in 2005. 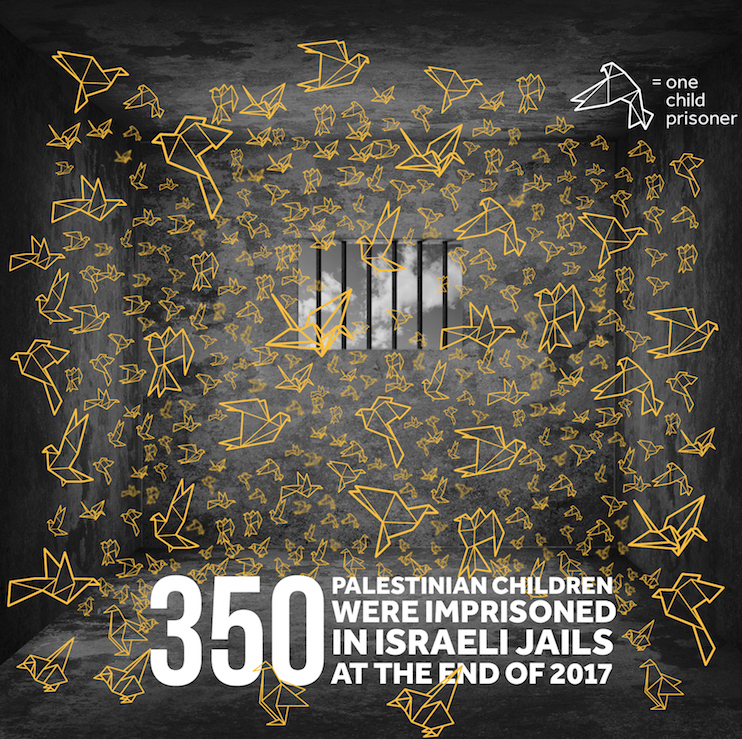 Even though Bashir’s father had attempted to appeal to the Israeli court system, as he had before, the family ended up rebuilding on their own. The walls – still marked by bullets and mortar shells – betray the home’s recent history, but they still stand. 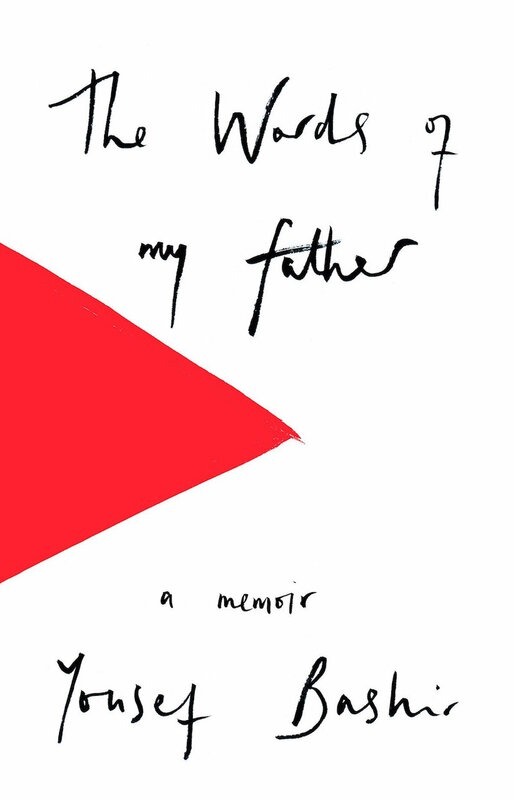 The Words of My Father: Love and Pain in Palestine is available now in the UK. The US edition will be available starting the 7th of May, 2019. This year will also mark the first time that Bashir will return to Gaza in 13 years, this time as a US citizen. All images used courtesy of Yousef Bashir unless otherwise indicated. Main image used courtesy of Bill O'Leary.